Tags: dau ghi backmagic, dau ghi hinh. SDI Video Input: 1 x 10-bit SD/HD/3G-SDI switchable. SDI Video Output: 2 x 10-bit SD/HD/3G-SDI switchable. : 1 x 10-bit SD/HD/3G-SDI switchable Loop Output. 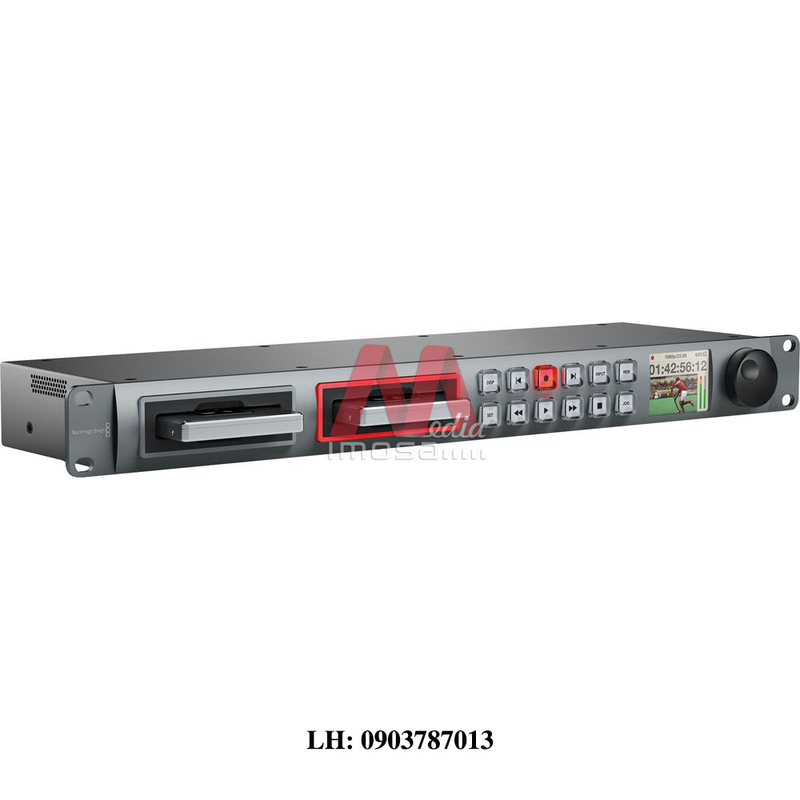 : 1 x 10-bit SD/HD/3G-SDI switchable Monitor Output. SDI Audio Input: 16 channels embedded in SD and HD in QuickTime files. : 2 channels in Avid DNxHD MXF files. SDI Audio Output: 16 channels embedded in SD and HD in QuickTime files. HDMI Audio Input: 8 channels embedded in SD and HD in QuickTime files.